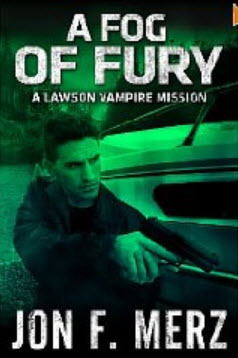 Jon F. Merz, urban fantasy author of the Lawson Vampire series has advised me that his novella, A Fog of Fury, from the series is available for free, in a Kindle edition for two days only - today and tomorrow. Great reading for fans of thrillers and mysteries and of course - vampires! A Fog of Fury is a special novella in my popular Lawson Vampire series that reunites the Fixer Lawson with Jack the Invoker. When the death of a prominent vampire on the Maine coast leads to a community squabble, Lawson is dispatched to mediate. What he and Jack find instead may be a whole lot more sinister than they imagined...and part of a puzzle that has been plaguing Lawson for years.